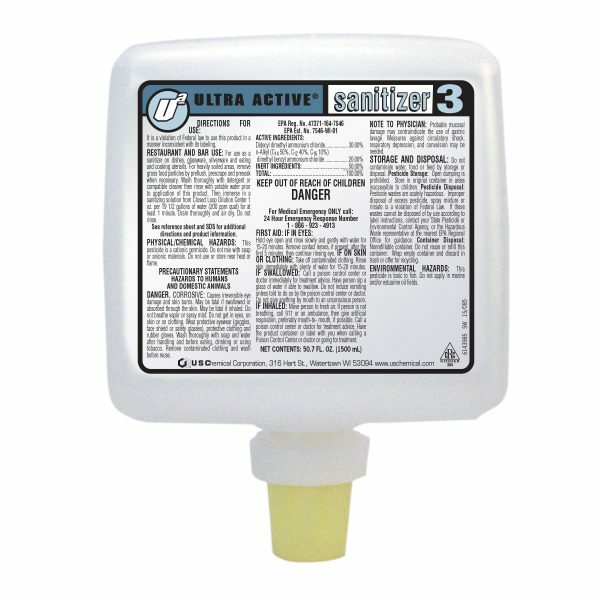 Ultra Active® Sanitizer is a quat based, no rinse formulation sanitizer that is mild to the hands. This concentrated product can be used in a third tank sink or anywhere an effective quaternary sanitizer is need. Sanitizer, has long last effectiveness and is approved for food contact surfaces.